With the great summer that Queenstown has been having the Teva crew decided they really needed to get a piece of that action. 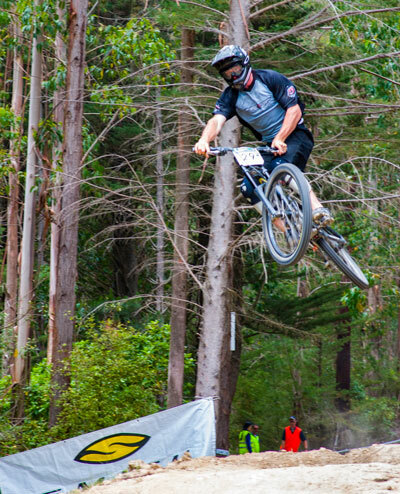 So when we saw that the team at Southern Traverse were putting on a massive Bike Festival in April a universal yell of “JUNKET!” was screamed and plans were hatched for the inaugural Teva Slopestyle competition. Women's health and well being will be celebrated once more at the Fresh Choice Women's Bike Run Tri at Lake Hayes on March 3 when teams and individual athletes from around the South Island gather to compete in the popular annual exclusively female event. Check out the Christchurch City Council site for up to date information on the status of tracks around the city. The Alpine Corral is a premier 74km eco-mountain bike race along the St James cycle way. Framed amongst world renowned surroundings and being the first event approved within the St James conservation area by the Department of Conservation it will undoubtedly prove to be memorable. A fantastic opportunity to ride in this remote and spectacular area of the South Island High Country, surrounded by hills,lakes and streams on user friendly trails. Come and breath the the mountain air, feel part of the environment and ride with your friends and family. A basis all weather track, that will suit recreational riders, but with optional loops to cater for those with greater skills and fitness. This is not a race, but you can ride it as such if you wish.